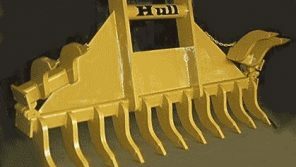 Hull Welding, Your Headquarters for Portable Fuel Tanks and Tow Rigs for Over 30 Years! Hull Welding manufactures high-quality portable fuel tanks and trailers with tow rigs, hose reels, tool boxes, skid tanks, diesel trailers and more. We use high-quality ASTM-A36 carbon steel in the construction of our tanks and trailers. Need a fuel transfer tank for aviation use? When requested we also use stainless steel for aviation use. 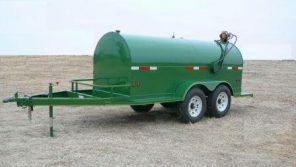 Considering a fuel skid tank or fuel trailer to accommodate 500 gallons, 750 gallons, or 1000 gallons? Do you need a dual tank tow rig? Our reputation for manufacturing a top quality tank at a competitive price is unmatched. All Hull tanks are “skirted and saddled” with a continuous weld making the tank and trailer one unit. This construction method makes it impossible for tank and trailer to separate under demanding working locations and conditions. We also use shop-built fenders, made from 14 gauge diamond plate, making them extremely strong and durable. We build our tanks and trailers in-house, making it possible for you to customize your order with the specific fittings and ports you need. 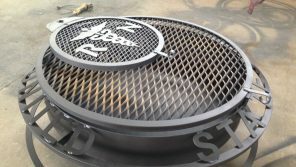 You can request decks in front or rear of the tank for an air compressor or tool boxes. Whenever possible we use the highest quality American made components we can buy. We can customize any tank and trailer combo because we build to order, ensuring you get the refueling solution you need for your job. Call us today or get a quote online!